Our Story — Ryne-Wood Builders, Inc.
We strive to surpass our competition in quality and speed. This approach not only defines who we are, but leads us to successfully complete every project that we face. From design input and estimating to project management and delivery, we take a smart, controlled approach to each project. From subcontracting to supervision and safety, we leave nothing to chance. At Ryne-Wood, we anticipate problems, meet deadlines and keep promises. Ryne-Wood Builders, Inc., a 30-year-old company based in Yorktown, Indiana, has been a builder and developer in the construction business since 1976. In our early stages, we teamed up with four partners and developed and constructed apartment buildings on the northwest side of Muncie, Indiana. As a partial owner and operator of the 28-unit complex, we opted to sell our segment of the franchise in the mid-90s. Today, Ryne-Wood has advanced into commercial construction building, while maintaining business in the upscale custom home market. We take pride in working alongside our clients throughout the entire building process, including all amenities from design work to the final completion of projects. 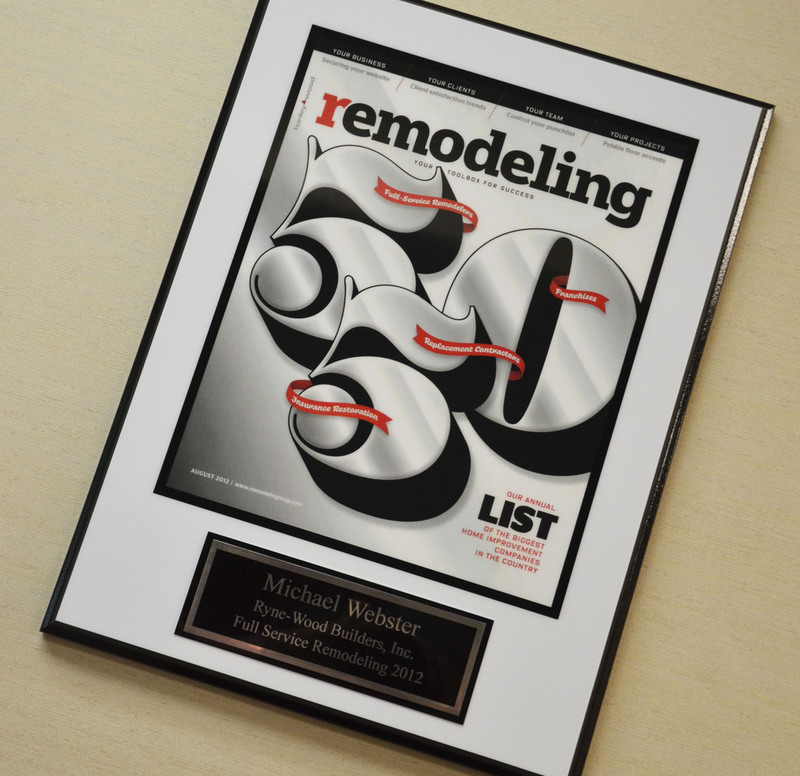 In 2012, U.S. Remodeling Magazine named Ryne-Wood Builders one of the home renovation industry's largest full-service remodelers in its annual list of the industry's largest companies. "Large companies are comparatively few. The contractor whose company gets big, and stays big, is the contractor who mastered a slew of business skills in addition to having construction know-how."